I was quite flattered when I showed up to my cousin’s daughter’s first birthday party last month to find that the parents had made three pans of my black bean, chard, and sweet potato enchiladas for the occasion. 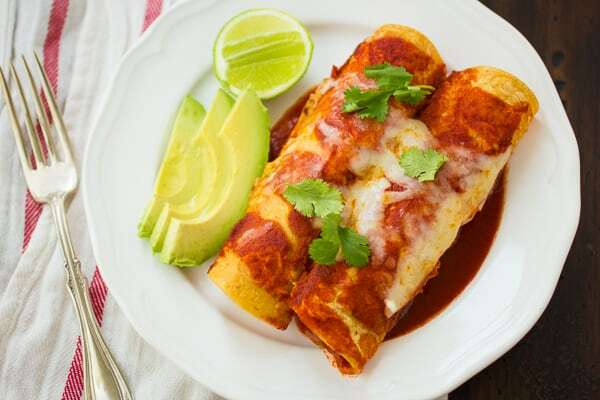 They wisely layered the tortillas with the sauce and filling, which is quicker and easier than rolling, and accompanied them with massive bowls of sour cream and guacamole. I helped myself to a big plate as guests kept complimenting me. And I didn’t even have to do anything. Best party ever. Lately I’ve been whipping up this version filled with a quartet of wintery vegetables: potatoes, cauliflower, kale, and shiitake mushrooms. The first three all get blanched in one pot (which leaves you with a bonus batch of vegetable stock), and the shiitakes get sauteed until golden and tender with sweet shallots. These are all tossed with judicious amounts of creamy goat cheese and some melty jack. A good squeeze of lime juice brightens up the flavors along with brick red enchilada sauce and a flurry of chopped cilantro. 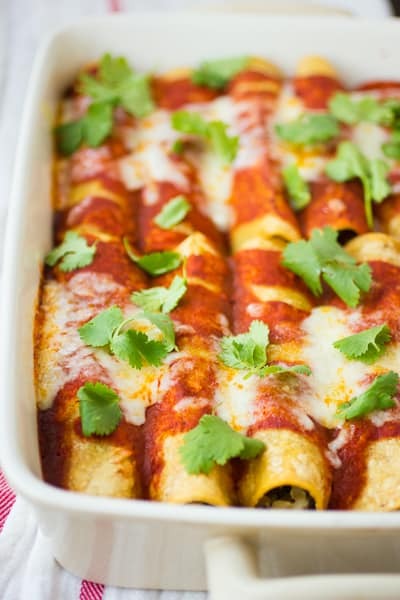 Enchiladas are naturally gluten-free, which is of import when one lives in Northern California. They’re also warm and nourishing, inexpensive, and just plain delicious. 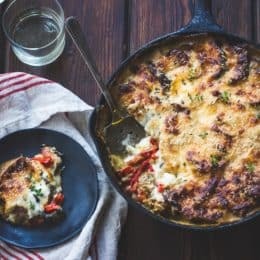 While the versions you find in a restaurant or taqueria are often laden with obscene amounts of cheese, these leave you pleasantly full, but not in need of a nap. As for tortillas, a corn-wheat blend makes the most pliant version that stand up well to sauce and baking. Purely corn tortillas have the advantage of being gluten-free, and they work perfectly well, too. Look for ones that are soft and bendy. While I aspire to learn to make a great red enchilada sauce someday, there are plenty of good pre-made versions available – I like both Frontera, shown here, and Sweet Creek. If you’re in a rush, you can be smart like my cousin and leave the tortillas flat, simply layering the components together. Either way, wash these down with a pomegranate margarita, or finish the meal with a scoop of horchata ice cream. But I would recommend skipping the glass of milk. 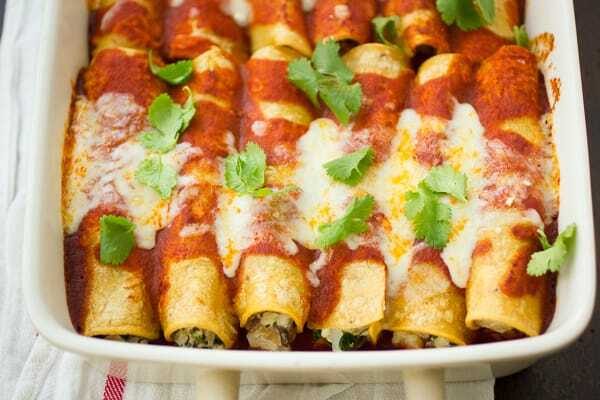 There are several do-ahead options for enchiladas that make them great for gatherings. You can make the filling up to two days ahead and refrigerate until ready to assemble. 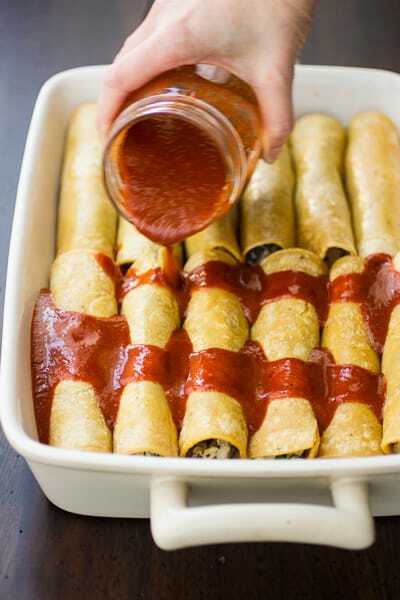 Or you can roll the enchiladas and place them in the saucy pan earlier in the day, cover, and refrigerate. 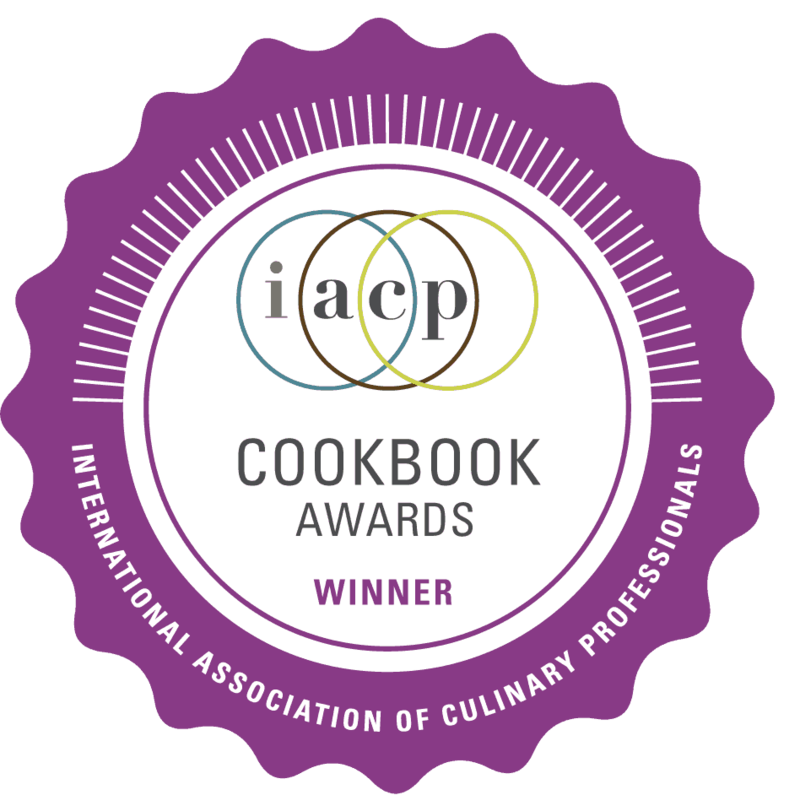 When ready to cook, top with the sauce, bake, and proceed with the recipe from there. 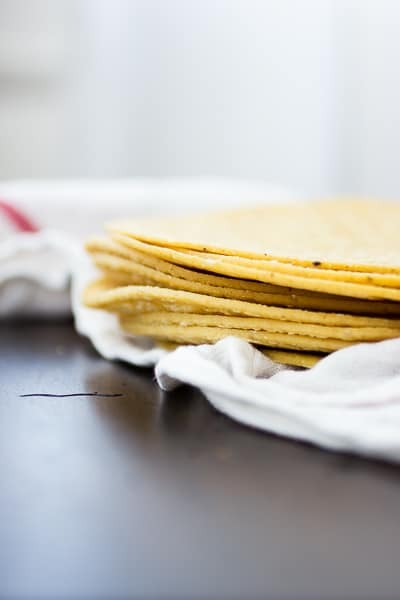 Once baked, the tortillas (particularly ones made from pure corn rather than a corn-wheat blend) will absorb sauce and begin to break down, so best to serve them immediately (though they will still be delicious if you need to hold them in a warm oven, covered, for an hour or two). Position a rack in the center of the oven and preheat to 350ºF (175ºC). Place the potato cubes in a medium-large saucepan and cover generously with cool tap water. Salt the water well, then bring the pot to a simmer over high heat. Simmer the potatoes gently until tender but still holding their shape, about 10 minutes, checking frequently to prevent overcooking. Scoop the potatoes out of the water with a slotted spoon, drain well, and place in a large bowl. 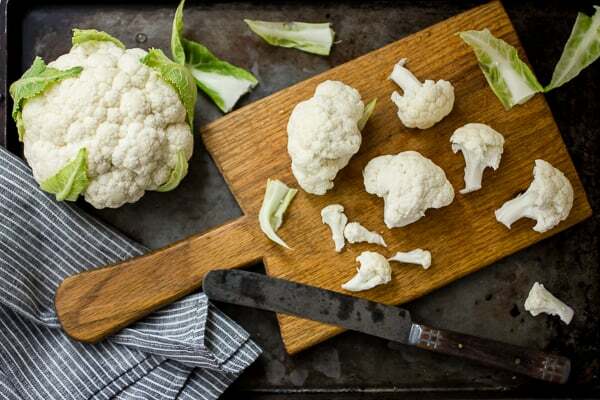 Add the cauliflower to the simmering water, and cook until crisp-tender, about 3 minutes. 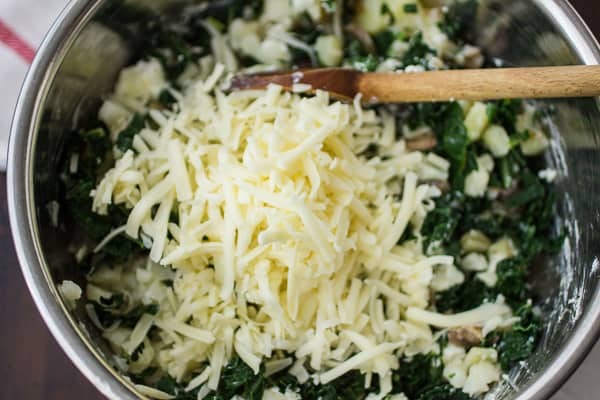 Remove with a slotted spoon and add to the bowl with the potatoes. 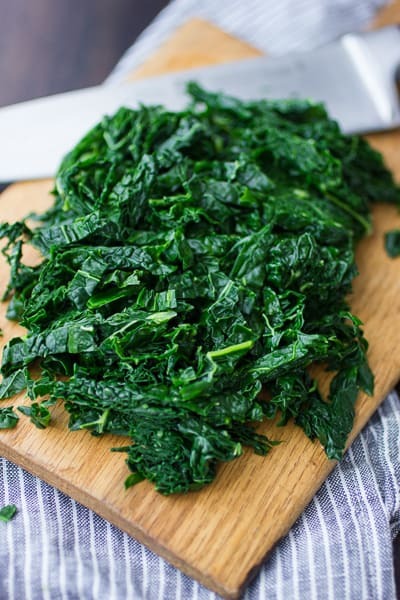 Add the kale leaves to the simmering water and cook until bright green and wilted, 1 minute. 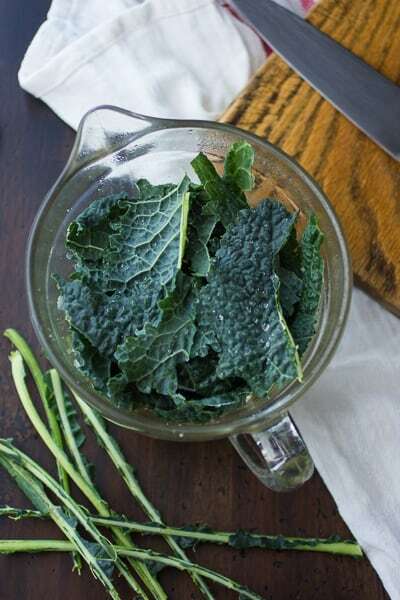 Drain the kale (you can reserve the water to use as a vegetable stock), let it cool, and squeeze out the excess moisture. 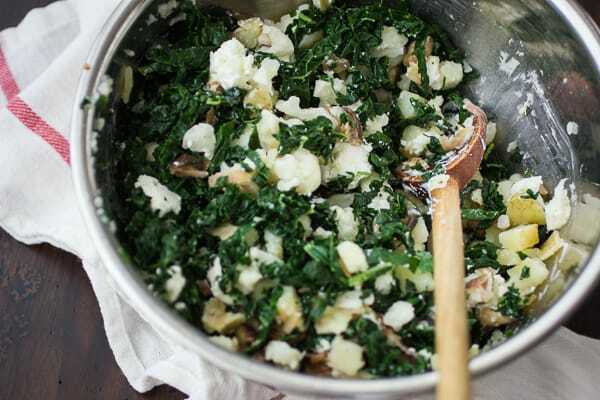 Chop the kale and add it to the potatoes and cauliflower. Meanwhile, heat the 2 tablespoons sunflower oil in a heavy skillet over high heat until the oil shimmers. Add the shallots and cook, stirring frequently, until tender and beginning to turn golden. Add the shiitakes and 1/4 teaspoon salt and continue to cook, stirring, until the mushrooms are tender and the pan is dry, lowering the heat if needed, about 7 minutes. 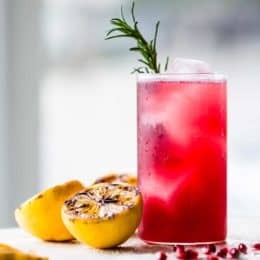 Remove the pan from the heat and stir in the juice from half a lime (1-2 tablespoons). 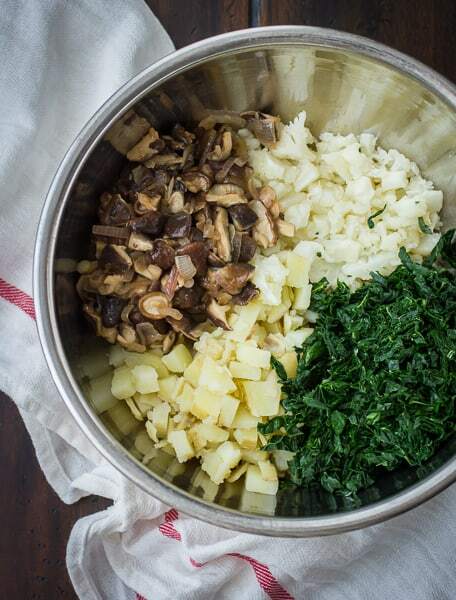 Add the shiitakes to the bowl with the other vegetables. Stir the goat cheese, half of the jack cheese, and the juice of the remaining lime half into the vegetables. Taste, adding more salt or lime if you feel the filling needs it. 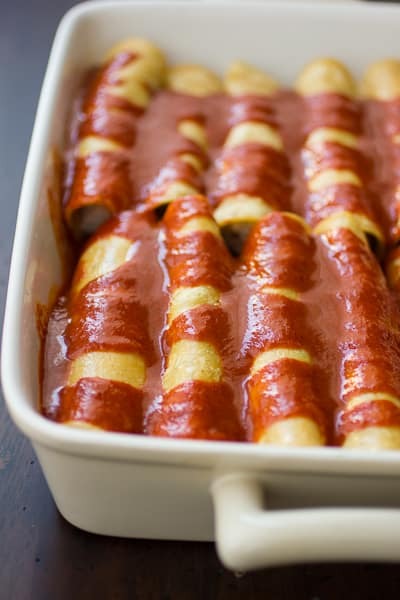 Pour 1/2 cup of enchilada sauce into the bottom of a 9×13″ (23×33 cm) baking dish (lasagna pan). 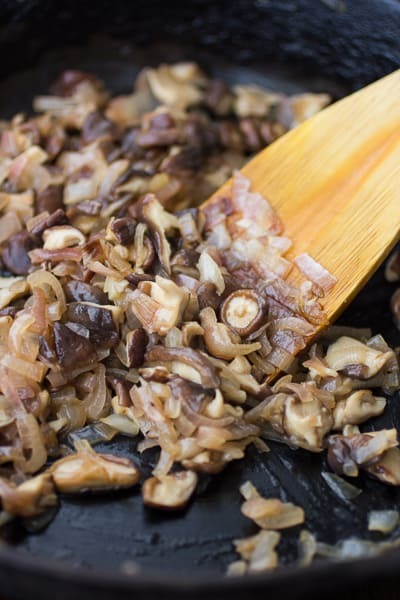 Coat a medium skillet with a thin layer of oil and place it over a medium flame until the oil shimmers. Add a tortilla and heat for 10 seconds on each side until heated through and pliable. 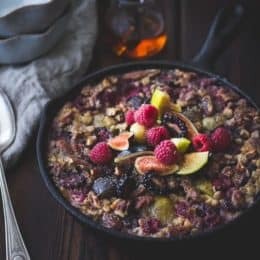 Place the tortilla on a cutting board, and place 1/4-1/3 cup of filling on the lower third of the tortilla, squishing the filling into an oblong shape. Roll up the tortilla and place the roll seamside-down in the baking dish. Repeat with the remaining tortillas and filling until all the filling is used up. Pour 1 cup of the sauce all over the enchiladas, and cover the pan tightly with foil. Sprinkle cilantro over the enchiladas, and serve with lime wedges and avocado, guacamole, sour cream, yogurt and/or crumbled goat cheese. 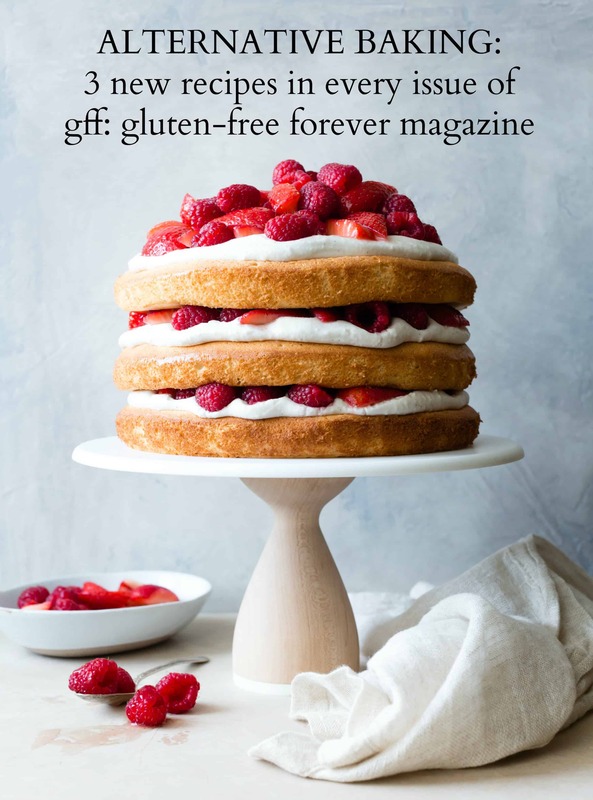 They are best when freshly baked, but extras keep well in the fridge for up to 4 days; reheat in an oven or toaster oven until heated through. These look incredible, but my only question is, how did you get them from pan to plate so perfectly? Mine don't make the transition very well :/ I'm going to give these a try this week! Haha, I know what you mean! I think that frying the tortillas in a bit of oil creates a barrier to the sauce that prevents them from disintegrating, which helps them hold together when pulling them from the pan. Frontera's sauce is pretty thick, and the filling was pretty dry which both help thwart sogginess. Thank you for the sweet comment, Sue! Please come back and let me know how you like the enchiladas. Beautiful. My good friend just had a baby and she requested wholesome Mexican food. 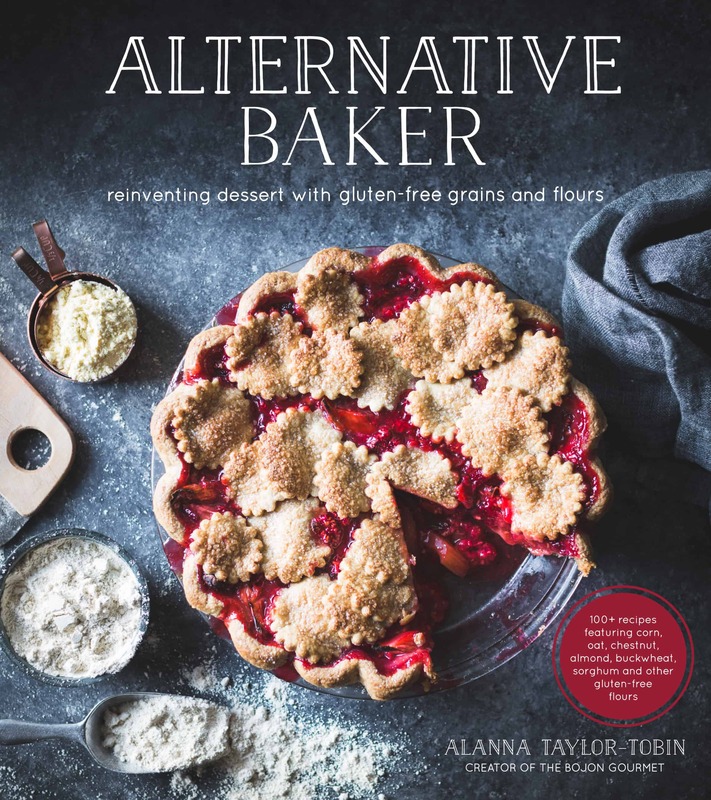 This seems like it would be perfect (although I might want to keep it all for myself) Thank you for sharing! Wow these look delicious! So many great flavors! I would never have come up with this combination but it sounds incredible! Can't wait to give this a try, thanks! 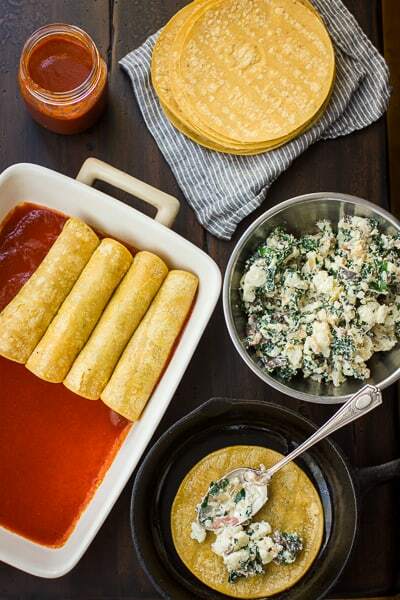 I make your chard, sweet potatoes, and black bean enchiladas all the time, excited to try these. Question for you. 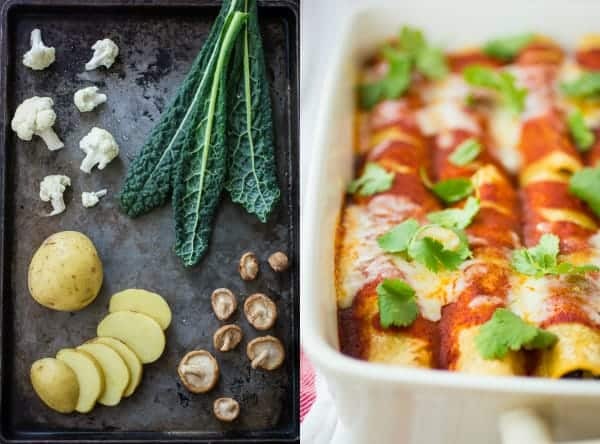 I want to make enchiladas with egg in them for a brunch and I was thinking of serving the chard sweet potatoes and black bean filling as a side. What do you think? Hi Mini! I love the idea of eggs in enchiladas. Would you scramble them first? I think the filling would make a lovely side, too. Let me know how it goes!